A novelist, Harper Lee, who earned the honor of the highest civilian award in the U.S., the Presidential Medal of Freedom, had worked for years to be eligible for this nobility. Lee was born and raised in a small town of Monroeville and observed an incident at the age of 5, which inspired her to write her novel. Lee began her studies in Montgomery, Alabama at the Huntingdon College, where she generated an interest in writing. She persuaded a law degree at the University of Alabama and made several contributions to the humor magazine, the Rammer Jammer and newspaper of the school, ending up as the magazine’s editor. Because of her interest in writing, she moved to Oxford University, England as an exchange student in the fall and returned in the fall. Soon, her interest in writing overhauled her studies and she dropped out of her law college after the 1st semester. She moved to New York City, where she faced several challenges and struggles for years to achieve her dream. In order to meet her daily needs, Lee started working for BOAC (British Overseas Air Corp) and Eastern Airlines as a ticket agent. In 1956, Lee got a break from her daily life schedule, which was arranged by her friends. Lee’s friends presented her the money equal to her yearly wages, so that she could quit her job and focus an entire year to complete her novel. This act of kindness allowed Lee to work as a full-time writer, which resulted in the famous novel, To Kill a Mockingbird. Her friends also helped her find Maurice Crain, an agent who aroused the interest of a publication firm in her writings. The manuscript of the novel was finished in 1959, followed by its publication the next year. Thus, two years of efforts and hard work, comprising of multiple revisions and re-writings along with the guidance of Tay Hohoff, her editor, from the J.B. Lippincott Company resulted in an honored piece of written art. Lee was honored with the Pulitzer Prize in 1961, for her work in the field of art as the novel gained an esteemed popularity with over 30 million copies sold. Another triumph of success came to the novelist in 1962, when the story was adapted in the form of a film, which earned multiple awards and nominations. Lee’s zeal of writing persuaded her to contribute more to the field and she wrote numerous essays, since being unable to work on another novel. However, in 2015, she made an announcement of publishing another novel, Go Set a Watchman, which was written before her 1st novel. 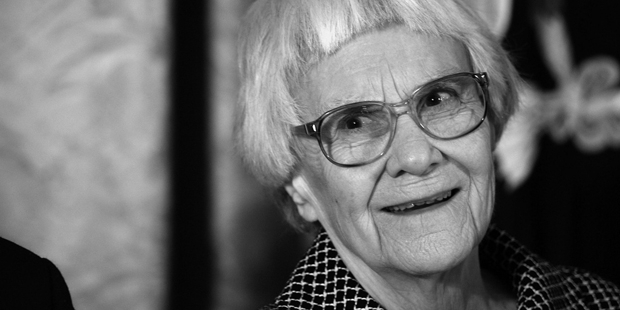 Harper Lee passed away at home in Monroeville, Alabama on 19th Februay 2016 at the age of 89.